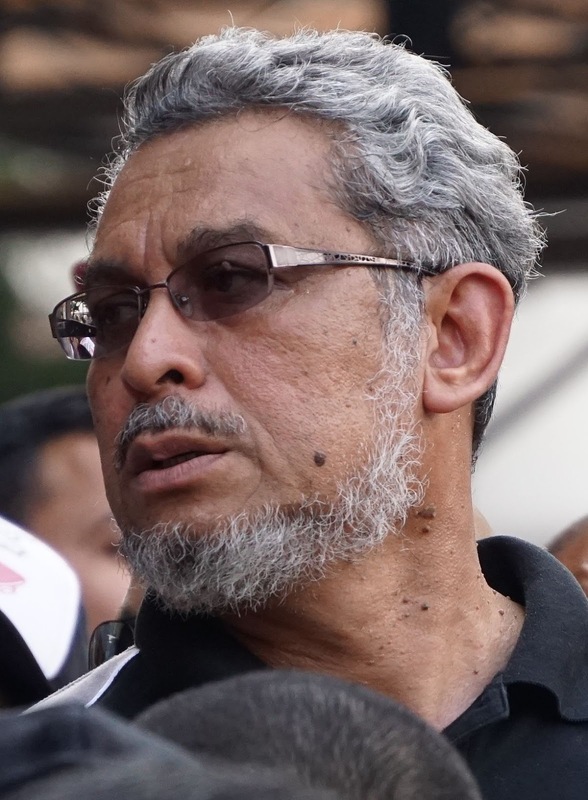 Sorry to say but FT Minister Khalid Samad's latest statement on the Kiara Park controversy does sound wimpish [Documents to developer Taman Rimba Kiara binding]. Remember, Khalid belongs to a government that has cancelled the ECRL, deferred the fast train project to Singapore, downscaled the MRT, took the entire ex-BoD of FGV, sacked thousands of so-called political appointees, and the list goes on, since wining the May 9 general election. Like it or not, those were very bold moves against deals that were also, to borrow Khalid's words, "formal, legal and binding". The ECRL and speed train projects involved foreign governments, some more! 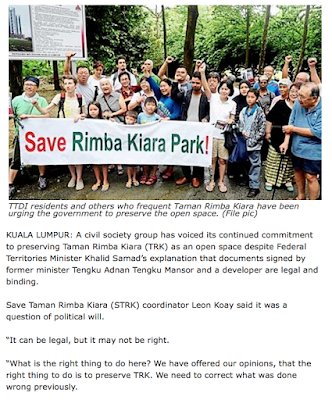 The proposed Rimba Kiara Park project, in comparison, is a puny domestic feud. I'm not saying that it won't give the minister headaches but he's making it sound as if it's something insurmountable. Which it is not. Political will, YB, political will. Ada Satu lagi yg memerlukan politikal willy. Projek kondo selepas saja Kajang Toll near to Islamic school. Now resume again.